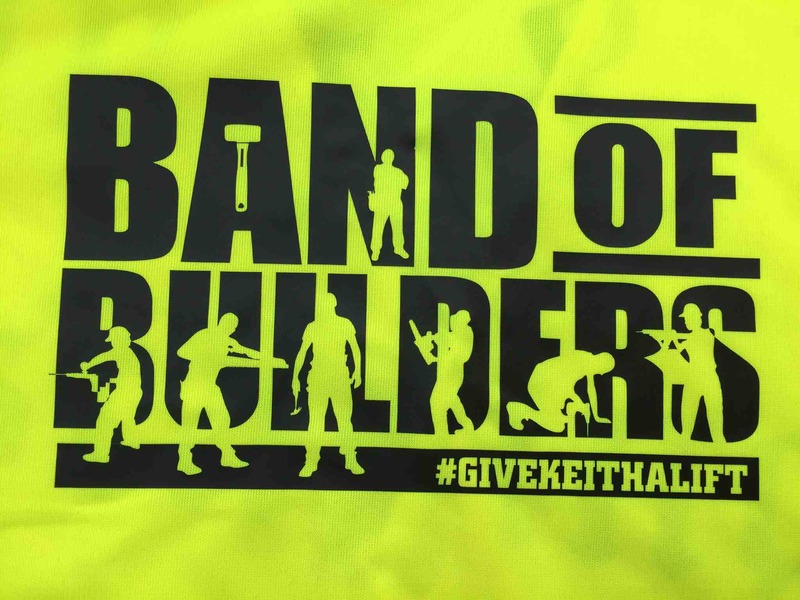 Very many thanks to everyone who has donated towards ‘Band of Builders Give Keith a Lift’. We are pleased to say that enough monies have been raised to buy Keith’s home and provide security for his family. Matters are now in the hands of Bridge McFarland Solicitors to deal with the legal side of things to ensure that Keith’s wife and all of his children benefit from the monies that you have kindly given in the way that Keith would have wished. Band of Builders is now moving on, we have applied to become a registered charity, so please check our web site www.bandofbuilders.com for more information on how we are continuing to make a difference to people’s lives, #TogetherStronger. We need to continue to raise money to fund future projects. 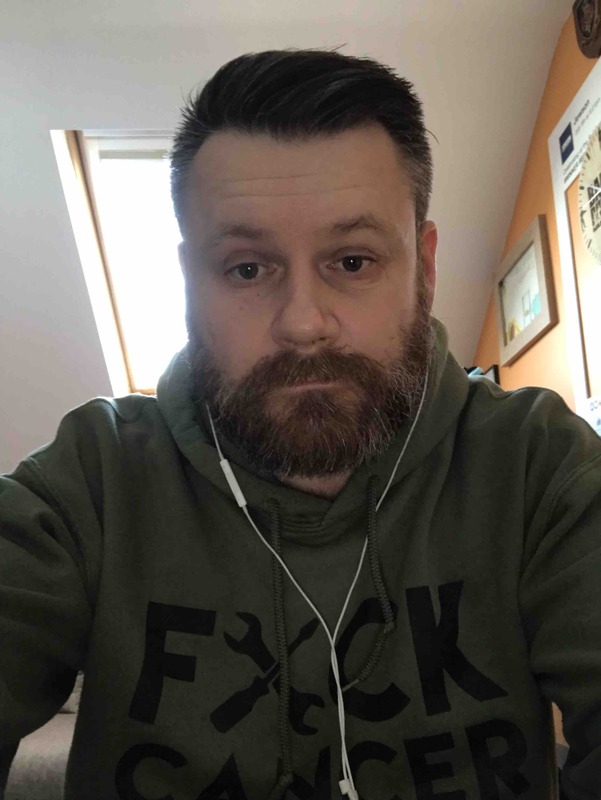 In addition to our current merchandise available from www.bandofbuilders.com shop many of our supporters are participating in marathons, ‘ToughMudder’ runs, sky-dives, boxing and many other events. Please get in touch with us to find out how you can help raise money for Band of Builders. We are open to all ideas and sponsorship packs are available. This GoFundMe page is not used to organise raffles. Hi guys Addam here, could you all please vote for Band Of Builders to become Lincoln City FC charity partner of this year on the link below. We wanted to get your feedback on something we are planning. Our goal is continue growing the Band of Builders as it will allow us to support more people in our industry that have fallen on hard times. We are planning on launching a way for you to support Band of Builders with a monthly contribution to the fund and wanted to hear your feedback. The survey takes no more than 30 seconds and is anonymous. I served with Keith, he's such a nice genuine guy! I have not been in touch since he left the RAF and I can't believe it! Amazing idea and I hope you raise the funds! Per Ardua Keith! Not all blokes donating and not all builders :) have spread the word so hopefully more people donate! Hats to Keith and to Addam your a rare breed. I think everybody had a lump in their throat. Cherish what time you have with the fambo an people who mean something. Good luck mate. Hey Addam, first £50 donated. Good luck . Respect to all of em' for that renovate. I hope Keith and his family have a healthy future. You have all do so well. Respect to all that helped and chipped in. Good to see the video and see it all come together.